Can't complain with the result today never got going at all.Very attack minded starting 11 but it just never worked out like it should have,pass marks to Dillion and Cregg only for me. Stenny back four were well organised with Munro at the back to be fair but we never really tested them all afternoon. Mr Goals certainly looks a player and will look dashing in royal blue next year I must say. Unlucky son. Natural order resumed. Just for reference we will finish above you. Was talking to Russell McLean last night. Absolute top boy but did comment he only went to the Monty because of the benefactor. Would love to see him come home next season and partner Guigsy. Result was more important than the game and it worked out for us. Not a great game of football by any stretch of the imagination but we did what was require. Munro and Marsh looked solid and composed at the back. The 2 new signings looked as if they will be excellent additions and McBrearty looks a more composed player in midfield. Things starting to look a lot more positive now. Here's yesterday's winning goal. My description was way off! Just for reference we will finish above you. Oooooh. Tenner charity wager on that? I wasn't there yesterday but would be fairly surprised to see that play out. We are a weaker side without Steeves in it though and need him back ASAP. I s'pose Stenny owed us a close take-your-chance-and-lock-the-door-win, we've done it plenty to them recently. Fixed that for you, just to avoid any misunderstanding. You boys are ill. Very pleasing. Not as pleasing as still being fifth in the league though! 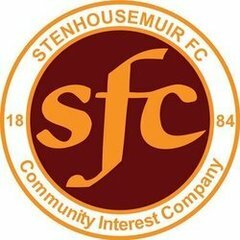 Montrose missed the chance to close the gap on the top four as they were beaten 1-0 at lowly Stenhousemuir. Imagine trying to buy McGuigan after we've just made £60k from the Abderdeen games. Abderdeen is that the team that are getting a new stadium? Whereabouts did you get this figure from? I don't have any ITK info, but some basic maths makes it about £60,000. I'm keen to see your working. From first game, 40% of 10,000 x £10 = 40,000. Second game, I'd heard we'd made nearly £20,000 from the Falkirk game including hospitality it, so I'm assuming the same for the Aberdeen game.